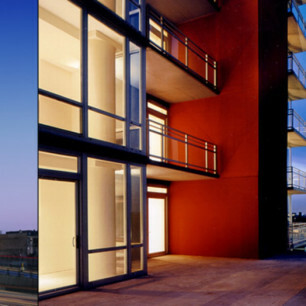 Skybridge is a high-rise, luxury condominium that climbs to 38 stories. 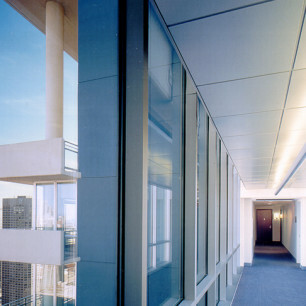 The 36th floor boasts a brand new workout facility for residents and a roof-top deck. 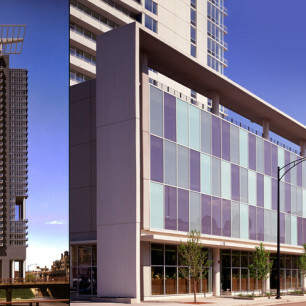 Designed by Perkins+Will, this is the tallest building west of the Dan Ryan Expressway, and offers one of the nicest panoramic views of the skyline as seen from the West. Amenities include storage Lockers, 24/7 door staff, in-home washer and dryer, gas fireplaces, 9′ ceilings, granite countertops, marble flooring, recessed lighting and a Dominick’s grocery store in the building.